The Intrepid Traveler, 3rd edition. Completely revised and updated for 2019. The ultimate guide to the kind of responsible, ecological and personal-growth travel and tourism that supports the #SDGs. This book is about travel – not tourism per se, but travel – responsible, ecological and personal-growth travel; the kind of travel that benefits both the visitor and the visited while helping to achieve the UN Sustainable Development Goals. 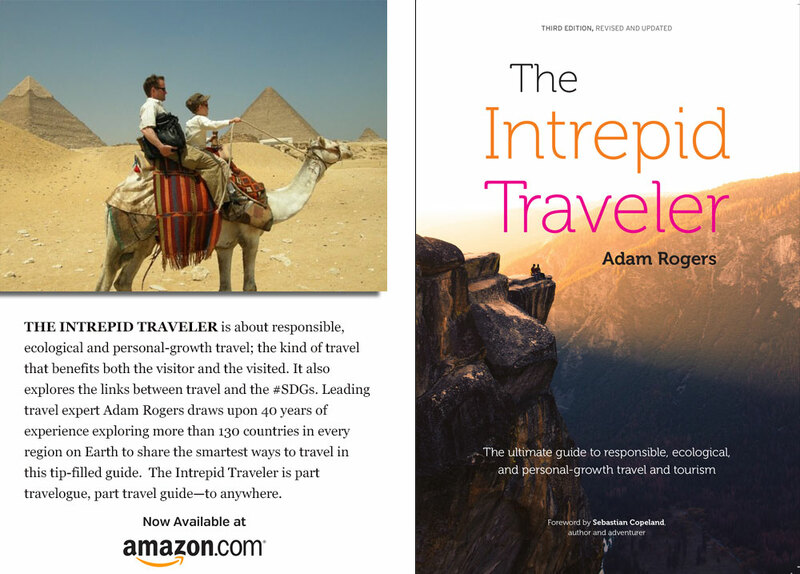 Leading travel expert Adam Rogers draws upon 40 years of experience exploring more than 130 countries in every region on Earth (22 years working with the United Nations Development Programme) to share the smartest and most conscious ways to travel in this tip-filled guide. Full of recommendations, real-life anecdotes, and answers to the most common questions about travel, this book is a must-read for anyone traveling anywhere. I am seeking collaborative partnerships that help promote tourism and travel that directly supports the achievement of any of the 17 SDGs.